Natalie Raines, one of Broadway's brightest stars, accidentally discovers who killed her former roommate and sets in motion a series of shocking events that puts more than one life in extreme peril.While Natalie and her roommate, Jamie Evans, were both struggling young actresses, Jamie had been involved with a mysterious married man to whom she referred only by nickname. Natalie comes face to face with him years later and inadvertently addresses him by the nickname Jamie had used. A few days later, Natalie is found in her home in Closter, New Jersey, dying from a gunshot wound. Immediately the police suspect Natalie's theatrical agent and soon-to-be-ex-husband, Gregg Aldrich. He had long been a "person of interest" and was known to have stalked Natalie to find out if she was seeing another man. But no charges are brought against him until two years later, when Jimmy Easton, a career criminal, suddenly comes forward to claim that Aldrich had tried to hire him to kill his wife. 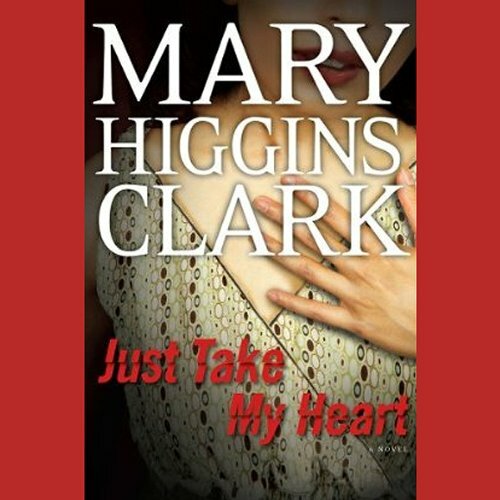 Da ich finde, dass die Bücher von Mary Higgins Clark sowohl spannend als auch gut verständlich sind, habe ich schon fast alle Titel auf englisch gehört. "Just take my heart" gehört da eher zu den Schwächeren. Die Geschichte ist schnell durchschaubar und emotional nicht so berührend und fesselnd. Dennoch hatte ich 7 Stunden Hörvergnügen.